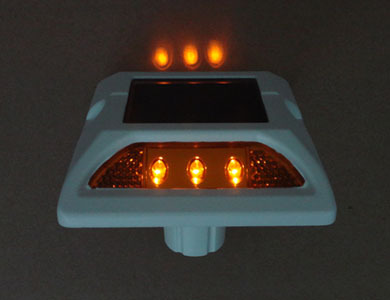 Led road stud is the flashing solar cell powered and maintenance-free lighting device used in road construction to delineate and /or illuminate the lanes to road users during the day and night. The green reflective studs are charged up during the day by sunlight through the solar panels and flash at night. 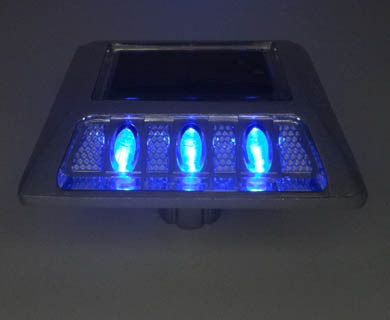 Embedded in the road surface, led road stud is an electronic improvement on the traditional cats eyes in that led road stud may give drivers more than thirty-second reaction window compared with about 3 seconds for conventional reflective devices. 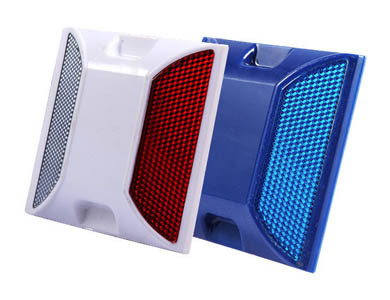 The led road stud is also more visible in rainy and fog conditions where is problematic for the old type plastic reflective road markers. The green reflective studs reduce the necessity of headlight main beams and the accompanying hazard of dazzling oncoming drivers. 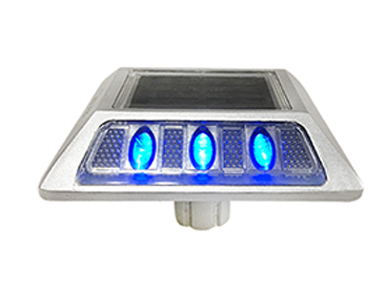 - Solar powered high intensity LED for superior performance in luminosity. - High Temperature adapt high quality Ni-Mh battery. 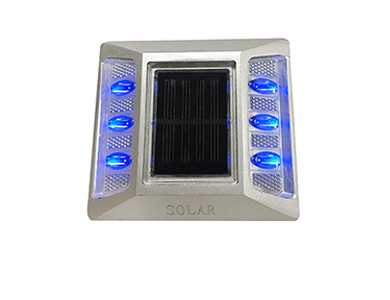 - Aluminum shell with strong compressive resistance. - Easy to install with virtually no maintenance. - Red blue white yellow green color. 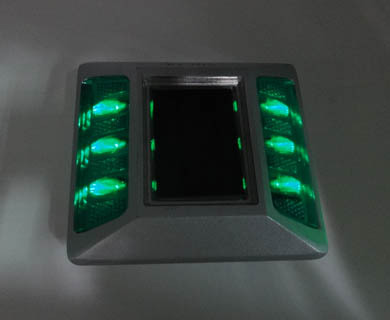 - Double side led road stud or single face green reflective studs can be designed. 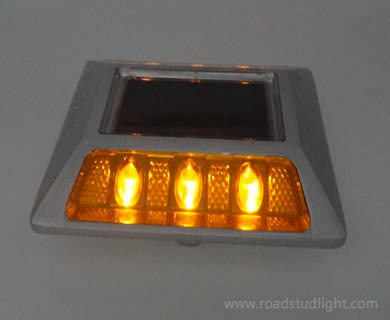 Applications of led road stud. - Taxiways at airports, bike and pedestrian lanes, aboard ships and watercrafts. We are a professional manufacturer of road studs. 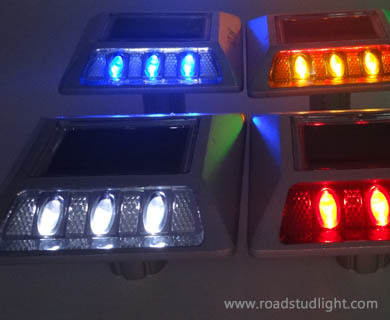 Our Led Road Studs have been exported to Middle & South America, Middle East, East Europe, Southeast Asia, Africa, etc. If you have any problem with your order, please contact us and we will do our best to make you satisfied.